Teams can earn an At-Large by participating in USSSA events throughout the season. If a team earns 150 Points through USSSA participation they will automatically be granted an At-Large Berth. 5:00pm: GLNC Coaches Check-in begins at StadiumPlex entrance. 6:00pm-6:30pm: Optional mother’s & parent meeting with LSSC/CVB Officials. 7:00pm-7:30pm: Officials & UIC Meeting. 7:15pm: Great March begins in Championship Stadium. 8:00pm: Great March concludes with all teams assembled on the Championship Field. 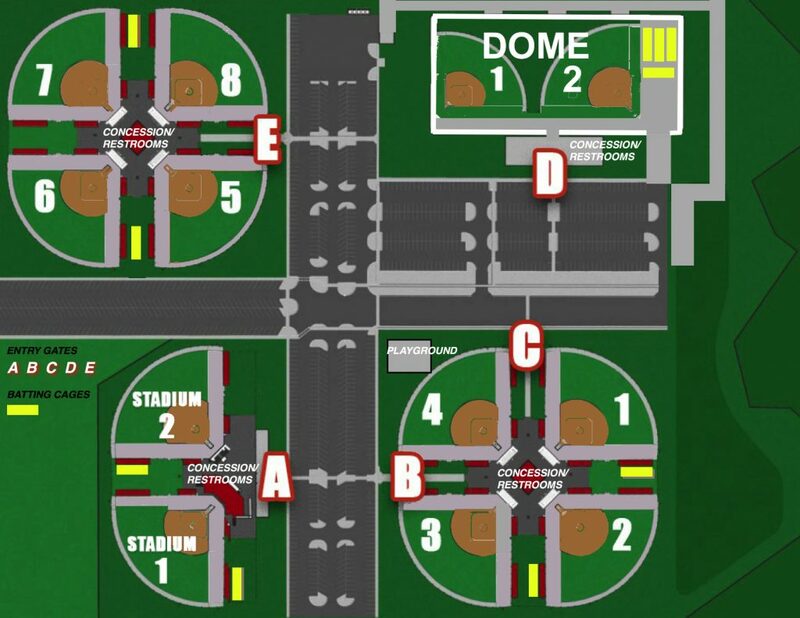 8:00pm: Welcome to the Louisville Slugger Sports Complex! Teams wishing to participate in the Team Gift Exchange should bring something that is representative of their home area, the value of which is not important. It is recommended that teams bring a minimum of 15 gifts to exchange. Deadline is Friday the 12th to confirm your team’s participation. Email confirmation to shea@sluggerpeoria.com with your team name and if your team will be participating in the gift exchange or not. 9:00am: Pool Games Begin! – All teams will play a minimum of two (2) games. 6:00pm: Play concludes for the day. 7:00pm: Evening in Peoria (to be announced). 9:00am: Pool Games Continue! – All teams will play a minimum of two (2) games. 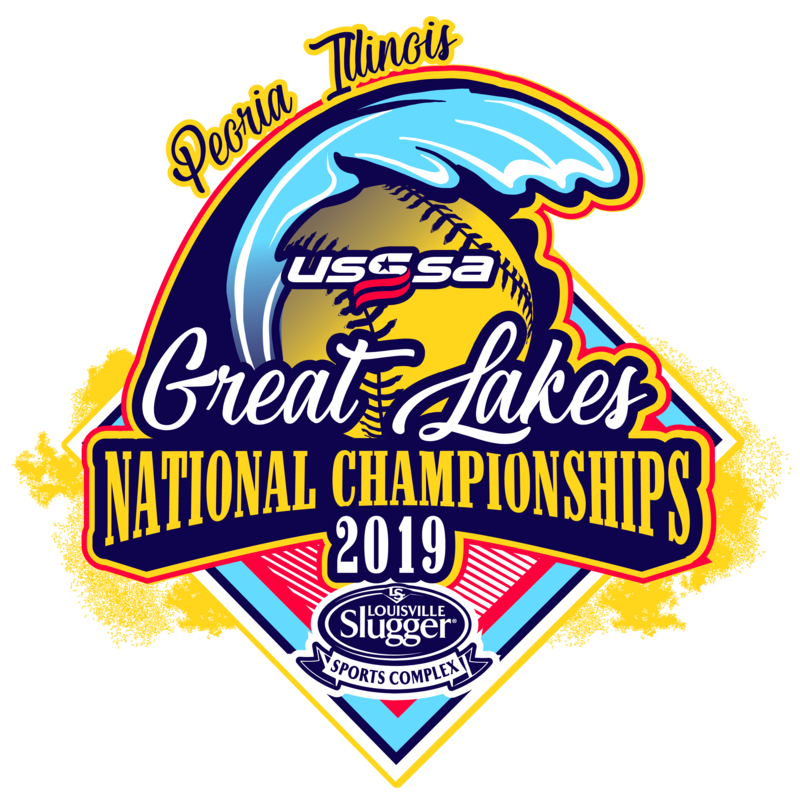 7:00pm: USSSA Appreciation Night – Teams will celebrate at Round 1! 9:00am: Pool Games Conclude! – National Championship Bracket begins! 7:00pm: Evening with the Peoria Chiefs – Pin Trading Night! 9:00am: National Championship Bracket continues! 9:00am-6:00pm: Champions Crowned in all classes! – Video of Championship Games broadcasted on SluggerPeoria.tv! Verify official USSSA roster and provide proof of insurance at check in. Coin toss will determine home team through pool play. Higher seed with choice in bracket. Entire Roster batting can be used in Pool or Bracket play games. This “entire” roster batting must be declared at the beginning of game. If roster batting is being used, the lineup card will show these “additional players” as AP’s. If you bat entire roster you cannothave a DP/Flex. Your courtesy runner becomes your last completed at-bat. All pool and bracket games will be played to a winner. ITB, International Tie Breaker rule after time limit has expired, or after 7 innings have been completed. Last completed at bat will take 2nd base to begin inning. Scores should be verified every 1⁄2 inning with the visiting team. Player protest- $150 cash in hand at time of protest and resolved at that time. No game will be played under protest. Sportsmanship is a behavior and attitude from players, umpires, coaches, parents/fans that demonstrates mutual respect. Any person at an LSSC event that demonstrates behavior that is detrimental to that mutual respect will be removed from the event. Coach misses game ejected from, plus one. Any person removed by an umpire or director will be subject to removal for the remainder of the tournament.